Government regulation is so demonized today in part because it is a victim of its own success. Who needs air pollution standards when skies are blue and the air smells sweet? Aren’t federal government regulations just a drag on the economy? As progress is made in cleaning up the air we breath, push back to dismantle the regulations that have been working becomes greater sometimes. The same powers of industry that created unbearable air quality in the past are pressuring Congress today to ease up on clean air emissions standards. We must hold the line and, in fact, move forward with improved standards. 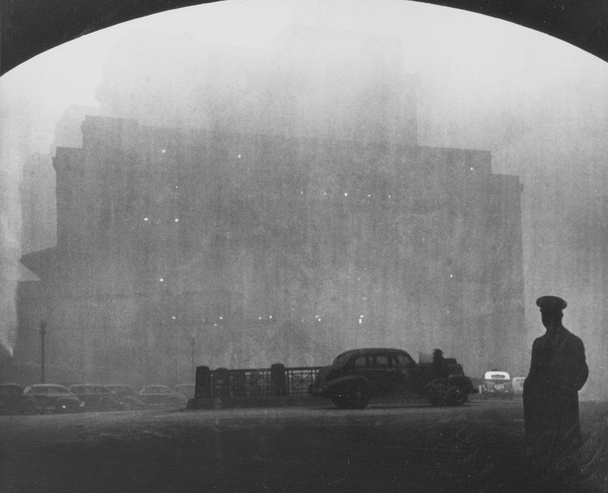 Below are some picture that tell a story all by themselves, followed by a reminder that the relatively clean air and water we enjoy today was a hard fought bipartisan victory thanks, in part, to Richard Nixon. This post began with the following note from a friend: My Urban Policy studies lead me to these websites. My favorite is Planetizen. If you are at all interested in how the commonwealth works, give these a look. 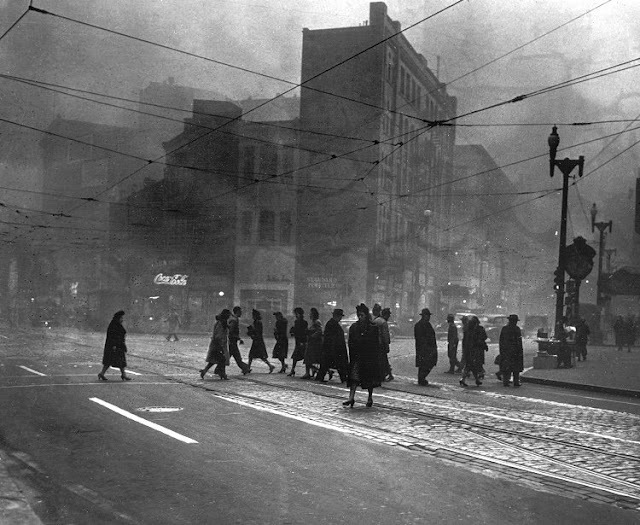 Anyway, here’s a look at Pittsburgh before government regulation of industrial pollution. This is what unfettered capitalism will do. The Republicans of today would have us believe that regulation is the devil. Shall we go back to theEden that was America? While the idea was a small step in the right direction, other factors ultimately helped improvePittsburgh’s notorious air quality. Natural gas was piped into the city. Regional railroad companies switched from coal to diesel locomotives. 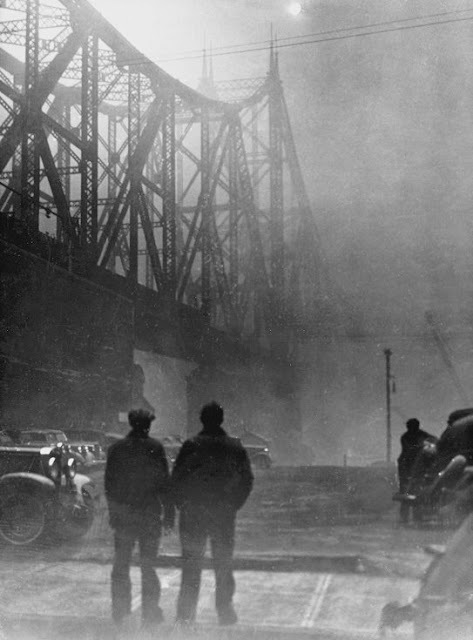 And, ultimately, the collapse of the iron and steel production industries in the 1980s led to rapidly improved air quality leading into the 21st century. 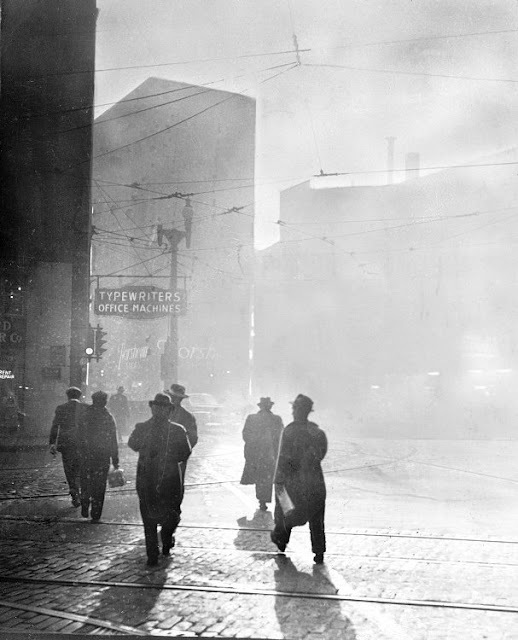 Control of coal smoke made it possible to clean soot-covered buildings and to re-plant hillsides, helping provide the city a look it could hardly envision in the depths of its industrial heyday. Remarks on Signing the Clean Air Amendments of 1970. The year 1970 has been a year of great progress in this field. In February, you will recall that I submitted the most comprehensive message on the environment ever proposed by a President of the United States. During the year, there have been some administrative actions, some legislative actions. Time, however, has been required for the Congress to consider the proposals of the administration and, finally, to agree on the legislation that will be sent to the President for signature. This is the most important piece of legislation, in my opinion, dealing with the problem of clean air that we have this year and the most important in our history. It provides, as you know, for provisions dealing with fuel emissions and also for air quality standards, and it provides for ‘the additional enforcement procedures which are absolutely important in this particular area. And if, as we sign this bill in this room, we can look back and say, in the Roosevelt Room on the last day of 1970, we signed a historic piece of legislation that put us far down the road toward a goal that Theodore Roosevelt, 70 years ago, spoke eloquently about: a goal of clean air, clean water, and open spaces for the future generations of America. Read more at the American Presidency Project:Richard Nixon: Remarks on Signing the Clean Air Amendments of 1970. By Brian in Environmental, Health on December 14, 2012 .